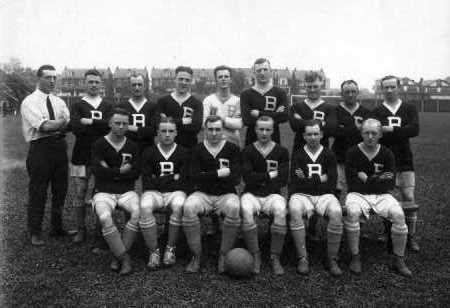 The Bethlehem Steel Soccer Club, 1913-1930, was arguably the most winning soccer team in US history. 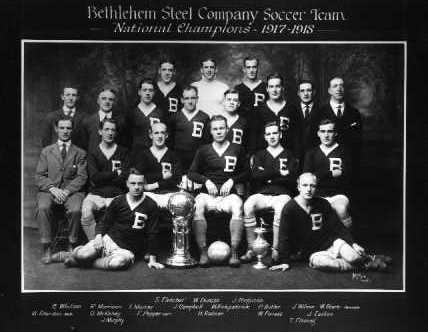 Beginning as an industrial amateur league club and later becoming a professional club and a founding member of the American Soccer League, Bethlehem Steel dominated the American soccer scene for many years. Like most clubs since, Bethlehem Steel relied on imported talent. In the 'teens and 'twenties, Scotland and England were the main hunting grounds for US soccer scouts. 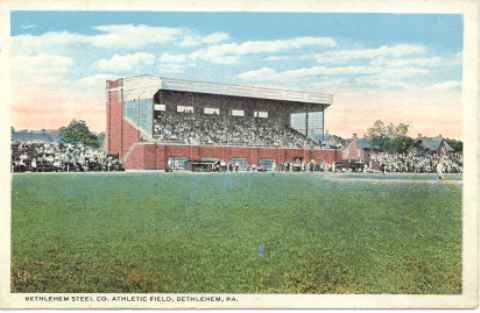 In its early years, the team played on East End field in Bethlehem, Pa. Later, the Bethlehem Steel Company built a new field and stands for the team on Elizabeth Avenue in Bethlehem. Today, this athletic field, seen in the adjoining postcard, is now owned by Moravian College and used by their football team. A bronze plaque on the side of the stadium still attests to the remarkable record of the Bethlehem Steel team. This website currently contains the full text of 3,000 newspaper and magazine articles about the Bethlehem Steel Soccer Club. If you can provide additional articles, either as photocopies or electronic text, please contact the webmaster. 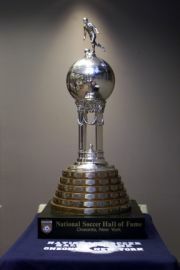 Please check our links page for other sources of information about early 20th century US soccer. Visit our photo gallery for pictures of the team and players as well as pictures of other teams the Bethlehem Steel club played against. Relative or ancestor a member of the Bethlehem Steel Soccer Club? Questions or additional information about the team? Feel free to write to Daniel Paul Morrison at pastor@hvpc.org.